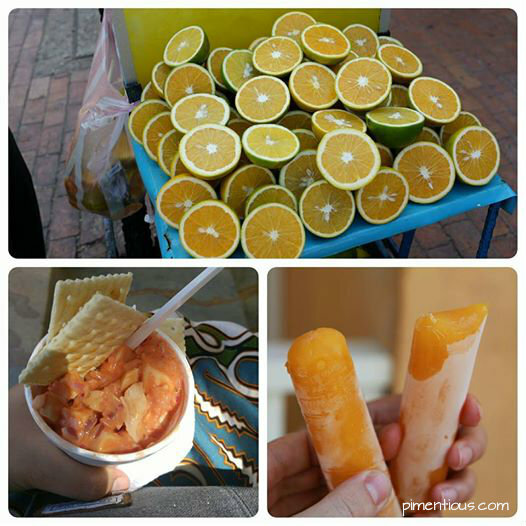 If you have been following this blog, you will notice that I have a penchant for street food. I grew up eating street food. Not something to be proud of, knowing how unhealthy street food can be, but it's not something I regret either. Did I tell you that there's ZERO street food in Quebec City? Well, there isn't any since food trucks are prohibited. Boring..
As a die-hard street food lover, I always hunt for street food vendors whenever I travel, including on my last travel to Colombia. I visited few major cities and tasted their street food and it's all good! Some of their classic menu that I can't get enough off are their orange juice (their orange juice is not like the orange juice we know, it's not sour at all), frozen mango juice in a tubular plastic bag (in Indonesia we have this kind of ice too and very popular for kids, we call it es mambo, don't ask where the name comes from, I really have no idea), and shrimp cocktail (coctel de camarones) that I ate in Cartagena. Today's recipe is the shrimp salad. Yes, I know it's not an Indonesian recipe but it is so good, I want to share it with you. It's very easy to prepare too and you can substitute the shrimp with any seafood you like actually, I had it with octopus, snail, fake crab, and calamari, it was all finggahlickin' gewd. You should try it, really. It makes a perfect appetizer too. 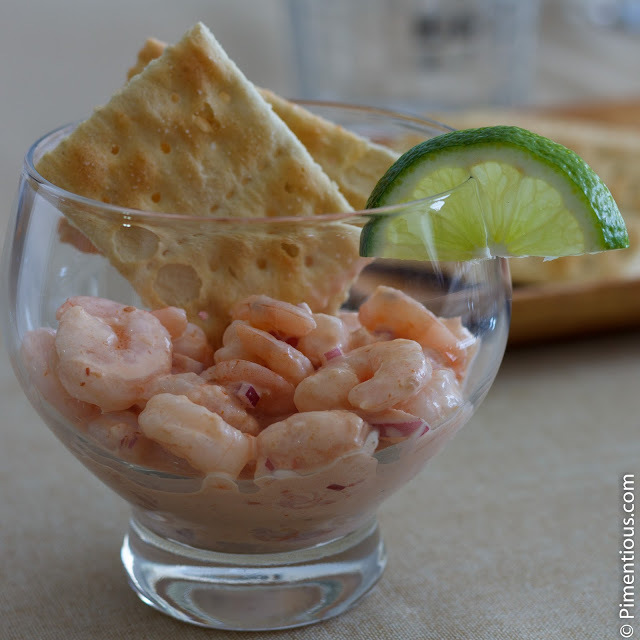 Serve with saltine crackers and a slice of fresh lime. So there you go, as simple as that. I followed this recipe over here and only added a tiny bit of adjustment. That recipe taught me how to cook shrimp to perfection; cooked and firm but still juicy and not rubbery hard. It's perfect!